Reincarnation is the religious or philosophical concept that the soul or spirit, after biological death, can begin a new life in a new body. This doctrine is a central tenet of the Indian religions. It is also a common belief of various ancient and modern religions such as Spiritism, Theosophy, and Eckankar and is found in many tribal societies around the world, in places such as Siberia, West Africa, North America, and Australia. The word "reincarnation" derives from Latin, literally meaning, "entering the flesh again". The Greek equivalent metempsychosis (μετεμψύχωσις) roughly corresponds to the common English phrase "transmigration of the soul" and also usually connotes reincarnation after death, as either human, animal, though emphasising the continuity of the soul, not the flesh. The term has been used by modern philosophers such as Kurt Gödel and has entered the English language. Another Greek term sometimes used synonymously is palingenesis, "being born again". There is no word corresponding exactly to the English terms "rebirth", "metempsychosis", "transmigration" or "reincarnation" in the traditional languages of Pāli and Sanskrit. The entire universal process that gives rise to the cycle of death and rebirth, governed by karma, is referred to as Samsara while the state one is born into, the individual process of being born or coming into the world in any way, is referred to simply as "birth" (jāti). Devas (gods) may also die and live again. Here the term "reincarnation" is not strictly applicable, yet Hindu gods are said to have reincarnated (see Avatar): Lord Vishnu is known for his ten incarnations, the Dashavatars. Celtic religion seems to have had reincarnating gods also. Many Christians regard Jesus as a divine incarnation. Some Christians and Muslims believe he and some prophets may incarnate again. Most Christians, however, believe that Jesus will come again in the Second Coming at the end of the world, although this is not a reincarnation. Some ghulat Shi'a Muslim sects also regard their founders as in some special sense divine incarnations (hulul). Philosophical and religious beliefs regarding the existence or non-existence of an unchanging "self" have a direct bearing on how reincarnation is viewed within a given tradition. The Buddha lived at a time of great philosophical creativity in India when many conceptions of the nature of life and death were proposed. Some were materialist, holding that there was no existence and that the self is annihilated upon death. Others believed in a form of cyclic existence, where a being is born, lives, dies and then is reborn, but in the context of a type of determinism or fatalism in which karma played no role. Others were "eternalists", postulating an eternally existent self or soul comparable to that in Judaic monotheism: the ātman survives death and reincarnates as another living being, based on its karmic inheritance. This is the idea that has become dominant (with certain modifications) in modern Hinduism. The Buddhist concept of reincarnation differs from others in that there is no eternal "soul", "spirit" or "self" but only a "stream of consciousness" that links life with life. The actual process of change from one life to the next is called punarbhava (Sanskrit) or punabbhava (Pāli), literally "becoming again", or more briefly bhava, "becoming", and some English-speaking Buddhists prefer the term "rebirth" or "re-becoming" to render this term as they take "reincarnation" to imply a fixed entity that is reborn. Popular Jain cosmology and Buddhist cosmology as well as a number of schools of Hinduism posit rebirth in many worlds and in varied forms. In Buddhist tradition the process occurs across five or six realms of existence, including the human, any kind of animal and several types of supernatural being. It is said in Tibetan Buddhism that it is very rare for a person to be reborn in the immediate next life as a human. Gilgul, Gilgul neshamot or Gilgulei Ha Neshamot (Heb. גלגול הנשמות) refers to the concept of reincarnation in Kabbalistic Judaism, found in much Yiddish literature among Ashkenazi Jews. Gilgul means "cycle" and neshamot is "souls". The equivalent Arabic term is tanasukh: the belief is found among Shi'a ghulat Muslim sects. The origins of the notion of reincarnation are obscure. Discussion of the subject appears in the philosophical traditions of India (including the Indus Valley). The Greek Pre-Socratics discussed reincarnation, and the Celtic Druids are also reported to have taught a doctrine of reincarnation. The ideas associated with reincarnation may have arisen independently in different regions, or they might have spread as a result of cultural contact. Proponents of cultural transmission have looked for links between Iron Age Celtic, Greek and Vedic philosophy and religion, some even suggesting that belief in reincarnation was present in Proto-Indo-European religion. In ancient European, Iranian and Indian agricultural cultures, the life cycles of birth, death, and rebirth were recognized as a replica of natural agricultural cycles. Patrick Olivelle asserts that the origin of the concept of the cycle of birth and death, the concept of samsara, and the concept of liberation in the Indian tradition, were in part the creation of the non-Vedic Shramana tradition. Another possibility are the prehistoric Dravidian traditions of South India. Some scholars suggest that the idea is original to the Buddha. In Jainism, the soul and matter are considered eternal, not created and perpetual. There is a constant interplay between the two, resulting in bewildering cosmic manifestations in material, psychic and emotional spheres around us. This led to the theories of transmigration and rebirth. Changes but not total annihilation of spirit and matter is the basic postulate of Jain philosophy. The life as we know now, after death therefore moves on to another form of life based on the merits and demerits it accumulated in its current life. The path to becoming a supreme soul is to practice non-violence and be truthful. Burn him not up, nor quite consume him, Agni: let not his body or his skin be scattered. O Jatavedas, when thou hast matured him, then send him on his way unto the Fathers... let thy fierce flame, thy glowing splendour, burn him With thine auspicious forms, o Jatavedas, bear this man to the region of the pious... Again, O Agni, to the Fathers send him who, offered in thee, goes with our oblations. Wearing new life let him increase his offspring: let him rejoin a body, Jatavedas. Indian discussion of reincarnation enters the historical record from about the 6th century BCE, with the development of the Advaita Vedanta tradition in the early Upanishads (around the middle of the first millennium BCE), Gautama Buddha (623–543 BCE) as well as Mahavira, the 24th Tirthankara of Jainism. The systematic attempt to attain first-hand knowledge of past lives has been developed in various ways in different places. The early Buddhist texts discuss techniques for recalling previous births, predicated on the development of high levels of meditative concentration. The later Yoga Sutras of Patanjali, which incorporated elements of Buddhist thought, give similar instructions on how to attain the ability. The Buddha reportedly warned that this experience can be misleading and should be interpreted with care. Tibetan Buddhism has developed a unique "science" of death and rebirth, a good deal of which is set down in what is popularly known as The Tibetan Book of the Dead. The mystery schools at Eleusis and elsewhere, and produced a copious literature. Orpheus, its legendary founder, is said to have taught that the immortal soul aspires to freedom while the body holds it prisoner. The wheel of birth revolves, the soul alternates between freedom and captivity round the wide circle of necessity. Orpheus proclaimed the need of the grace of the gods, Dionysus in particular, and of self-purification until the soul has completed the spiral ascent of destiny to live for ever. In Greco-Roman thought, the concept of metempsychosis disappeared with the rise of Early Christianity, reincarnation being incompatible with the Christian core doctrine of salvation of the faithful after death. It has been suggested that some of the early Church Fathers, especially Origen still entertained a belief in the possibility of reincarnation, but evidence is tenuous, and the writings of Origen as they have come down to us speak explicitly against it. In Judaism, the Zohar, first publicized in the 13th century, discusses reincarnation at length, especially in the Torah portion "Balak." The most comprehensive kabbalistic work on reincarnation, Shaar HaGilgulim, was written by Rabbi Chaim Vital, based on the teachings of his mentor, the 16th century kabbalist Rabbi Isaac Luria, who was said to know the past lives of each person through his semi-prophetic abilities. The 18th century Lithuanian master scholar and kabbalist, Rabbi Elijah, known as the Vilna Gaon (Elijah of Vilna), authored a commentary on the biblical Book of Jonah as an allegory of reincarnation. According to the Jewish Encyclopedia, the philosophy of metempsychosis entered Judaism during the eighth century, under the influences of Islamic mysticism. Taoist documents from as early as the Han Dynasty claimed that Lao Tzu appeared on earth as different persons in different times beginning in the legendary era of Three Sovereigns and Five Emperors. The (ca. 3rd century BC) Chuang Tzu states: "Birth is not a beginning; death is not an end. There is existence without limitation; there is continuity without a starting-point. Existence without limitation is Space. Continuity without a starting point is Time. There is birth, there is death, there is issuing forth, there is entering in." Around the 11–12th century several reincarnationist movements were persecuted as heresies, through the establishment of the Inquisition in the Latin west. These included the Cathar, Paterene or Albigensian church of western Europe, the Paulician movement, which arose in Armenia, and the Bogomils in Bulgaria. 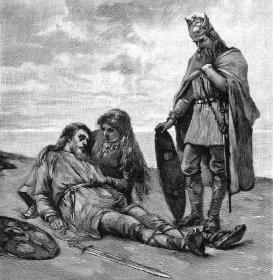 Sváfa holding the dying Helgi in their first incarnation of three. Reincarnation also appears in Norse mythology, in the Poetic Edda. The editor of the Poetic Edda says that Helgi Hjörvarðsson and his mistress, the valkyrie Sváfa, whose love story is told in the poem Helgakviða Hjörvarðssonar, were reborn as Helgi Hundingsbane and the valkyrie Sigrún. Helgi and Sigrún's love story is the matter of a part of the Völsunga saga and the lays Helgakviða Hundingsbana I and II. They were reborn a second time as Helgi Haddingjaskati and the valkyrie Kára, but unfortunately their story, Káruljóð, only survives in a probably modified form in the Hrómundar saga Gripssonar. Sigrun was early dead of sorrow and grief. It was believed in olden times that people were born again, but that is now called old wives' folly. Of Helgi and Sigrun it is said that they were born again; he became Helgi Haddingjaskati, and she Kara the daughter of Halfdan, as is told in the Lay of Kara, and she was a Valkyrie. During the Renaissance translations of Plato, the Hermetica and other works fostered new European interest in reincarnation. Marsilio Ficino argued that Plato's references to reincarnation were intended allegorically, Shakespeare made fun but Giordano Bruno was burned at the stake by authorities after being found guilty of heresy by the Roman Inquisition for his teachings. But the Greek philosophical works remained available and, particularly in north Europe, were discussed by groups such as the Cambridge Platonists. 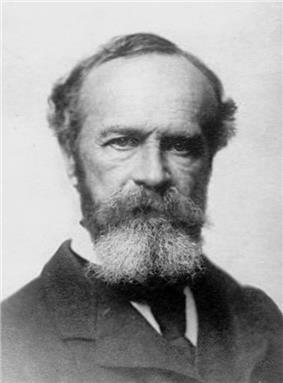 By the early 20th century, interest in reincarnation had been introduced into the nascent discipline of psychology, largely due to the influence of William James, who raised aspects of the philosophy of mind, comparative religion, the psychology of religious experience and the nature of empiricism. James was influential in the founding of the American Society for Psychical Research (ASPR) in New York City in 1885, three years after the British Society for Psychical Research (SPR) was inaugurated in London, leading to systematic, critical investigation of paranormal phenomena. At this time popular awareness of the idea of reincarnation was boosted by the Theosophical Society's dissemination of systematised and universalised Indian concepts and also by the influence of magical societies like The Golden Dawn. Notable personalities like Annie Besant, W. B. Yeats and Dion Fortune made the subject almost as familiar an element of the popular culture of the west as of the east. By 1924 the subject could be satirised in popular children's books. Théodore Flournoy was among the first to study a claim of past-life recall in the course of his investigation of the medium Hélène Smith, published in 1900, in which he defined the possibility of cryptomnesia in such accounts. Carl Gustav Jung, like Flournoy based in Switzerland, also emulated him in his thesis based on a study of cryptomnesia in psychism. Later Jung would emphasise the importance of the persistence of memory and ego in psychological study of reincarnation: "This concept of rebirth necessarily implies the continuity of personality... (that) one is able, at least potentially, to remember that one has lived through previous existences, and that these existences were one's own...." Hypnosis, used in psychoanalysis for retrieving forgotten memories, was eventually tried as a means of studying the phenomenon of past life recall. Psychiatrist Ian Stevenson, from the University of Virginia, investigated many reports of young children who claimed to remember a past life. He conducted more than 2,500 case studies over a period of 40 years and published twelve books, including Twenty Cases Suggestive of Reincarnation and Where Reincarnation and Biology Intersect. Stevenson methodically documented each child's statements and then identified the deceased person the child identified with, and verified the facts of the deceased person's life that matched the child's memory. He also matched birthmarks and birth defects to wounds and scars on the deceased, verified by medical records such as autopsy photographs, in Reincarnation and Biology. Stevenson searched for disconfirming evidence and alternative explanations for the reports, and believed that his strict methods ruled out all possible "normal" explanations for the child’s memories. However, a significant majority of Stevenson's reported cases of reincarnation originated in Eastern societies, where dominant religions often permit the concept of reincarnation. Following this type of criticism, Stevenson published a book on European Cases of the Reincarnation Type. Other people who have undertaken reincarnation research include Jim B. Tucker, Antonia Mills, Satwant Pasricha, Godwin Samararatne, and Erlendur Haraldsson. Skeptics such as Paul Edwards have analyzed many of these accounts, and called them anecdotal, while also suggesting that claims of evidence for reincarnation originate from selective thinking and from the false memories that often result from one's own belief system and basic fears, and thus cannot be counted as empirical evidence. Carl Sagan referred to examples apparently from Stevenson's investigations in his book The Demon-Haunted World as an example of carefully collected empirical data, though he rejected reincarnation as a parsimonious explanation for the stories. Stevenson claimed there were a handful of cases that suggested evidence of xenoglossy. These included two where a subject under hypnosis could allegedly converse with people speaking the foreign language, instead of merely being able to recite foreign words. Sarah Thomason, a linguist at the University of Michigan, reanalyzed these cases, concluding that "the linguistic evidence is too weak to provide support for the claims of xenoglossy." Ian Wilson argued that a large number of Stevenson’s cases consisted of poor children remembering wealthy lives or belonging to a higher caste. He speculated that such cases may represent a scheme to obtain money from the family of the alleged former incarnation. The philosopher Keith Augustine has written "the vast majority of Stevenson's cases come from countries where a religious belief in reincarnation is strong, and rarely elsewhere, seems to indicate that cultural conditioning (rather than reincarnation) generates claims of spontaneous past-life memories." According to the research of Robert Baker many of the alleged past-life experiences investigated by Stevenson and other parapsychologists can be explained in terms of known psychological factors. Baker has written the recalling of past lives is a mixture of cryptomnesia and confabulation. The philosopher Paul Edwards noted that reincarnation invokes assumptions and is inconsistent with modern science. Objections to claims of reincarnation include the facts that the vast majority of people do not remember previous lives and there is no mechanism known to modern science that would enable a personality to survive death and travel to another body, barring the idea of biocentrism. Researchers such as Stevenson have acknowledged these limitations. During recent decades, many people in the West have developed an interest in reincarnation. Feature films, such as The Reincarnation of Peter Proud, Dead Again, Kundun, Fluke, What Dreams May Come, The Mummy and Birth, and Chances Are, contemporary books by authors such as Carol Bowman and Vicki Mackenzie, as well as popular songs, deal with reincarnation. Skeptic Carl Sagan asked the Dalai Lama what he would do if a fundamental tenet of his religion (reincarnation) were definitively disproved by science. The Dalai Lama answered, "If science can disprove reincarnation, Tibetan Buddhism would abandon reincarnation... but it's going to be mighty hard to disprove reincarnation." Reincarnation – known as Punarjanma – it is one of the core beliefs of Hinduism that is generally accepted by many of its practitioners. Reincarnation is the natural process of birth, death and rebirth. Hindus believe that the Jiva or Atman (soul) is intrinsically pure. However, because of the layers of I-ness and My-ness, the jiva goes through transmigration in the cycle of births and deaths. Death destroys the physical body, but not the jiva. The jiva is eternal. It takes on another body with respect to its karmas. Every karma produces a result which must be experienced either in this or some future life. As long as the jiva is enveloped in ignorance, it remains attached to material desires and subject to the cycles of births and deaths (Samsara). There is no permanent heaven or hell in Hinduism. After services in the afterlife, the jiva enters the karma and rebirth system, reborn as an animal, a human or a divinity. This reincarnation continues until mokṣa, the final release, is gained. Hindus believe the self or soul (atman) repeatedly takes on a physical body. According to the Hindu sage Adi Shankaracharya, the world – as we ordinarily understand it – is like a dream: fleeting and illusory. To be trapped in samsara (the cycle of birth and death) is a result of ignorance of the true nature of our existence. It is ignorance (avidya) of one's true self that leads to ego-consciousness, grounding one in desire and a perpetual chain of reincarnation. The idea is intricately linked to action (karma), a concept first recorded in the Upanishads. Every action has a reaction and the force determines one's next incarnation. One is reborn through desire: a person desires to be born because he or she wants to enjoy a body, which can never bring deep, lasting happiness or peace (ānanda). After many births every person becomes dissatisfied and begins to seek higher forms of happiness through spiritual experience. When, after spiritual practice (sādhanā), a person realizes that the true "self" is the immortal soul rather than the body or the ego all desires for the pleasures of the world will vanish since they will seem insipid compared to spiritual ānanda. When all desire has vanished the person will not be born again. When the cycle of rebirth thus comes to an end, a person is said to have attained liberation (moksha). All schools agree this implies the cessation of worldly desires and freedom from the cycle of birth and death, though the exact definition differs. Followers of the Advaita Vedanta school believe they will spend eternity absorbed in the perfect peace and happiness of the realization that all existence is One Brahman of which the soul is part. Dvaita schools perform worship with the goal of spending eternity in a spiritual world or heaven (loka) in the blessed company of the Supreme Being. To experience the fruits of one's karmas: This is the main reason for rebirth. Sattvika (good or righteous) karmas reward one with the pleasures of Svarga. Rajas (pleasure-seeking) karmas reward one with mrutyuloka (mortal realm or earth). And Tamas karmas (actions related to inertia, laziness and evil) condemn one to patala-loka. To satisfy one's desires: When a person indulges in material pleasures, he or she subsequently develops a stronger desire to enjoy more of it (Vāsanā). This unending craving to satisfy one's desires causes the jiva to assume new physical bodies. To complete one's unfinished sadhana: When an aspirant making spiritual efforts for liberation from maya dies without attaining his or her goal, the jiva gets as a natural cause-effect another human body to complete its sadhana. To fulfil a debt: When a jiva is indebted to another jiva, it gets a human birth to fulfil its debt and receive what is owed to it. The jiva comes in the form of a relative, friend or an enemy. To undergo sufferings because of a great soul's curse: A person's grave error or sin may incur the wrath or displeasure of God or a Rishi. This results in the jiva of that person getting another birth, not necessarily into a human body. To attain moksha: By the grace and compassion of God or a God-realized guru, a jiva gets a human body to purge itself of the layers of base instincts. 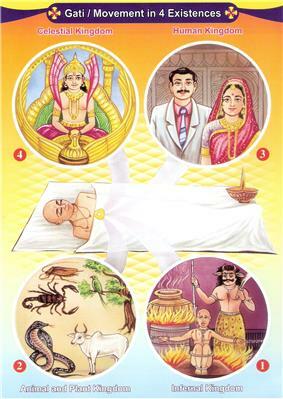 Jainism is historically connected with the sramana tradition with which the earliest mentions of reincarnation are associated. The Jain texts postulate four gatis, that is states-of-existence or birth-categories, within which the soul transmigrates. The four gatis are:  The four gatis have four corresponding realms or habitation levels in the vertically tiered Jain universe: demi-gods occupy the higher levels where the heavens are situated; humans, plants and animals occupy the middle levels; and hellish beings occupy the lower levels where seven hells are situated. In this 8-meter (25-foot) tall Buddhist relief, made sometime between the years 1177 and 1249, Mara, Lord of Death and Desire, clutches a Wheel of Reincarnation which outlines the Buddhist cycle of reincarnation. The early Buddhist texts make it clear that there is no permanent consciousness that moves from life to life. Gautama Buddha taught a distinct concept of rebirth constrained by the concepts of anattā, that there is no irreducible ātman or "self" tying these lives together (which serves as a contrast to Hinduism, where everything is connected, and in a sense, "everything is everything"), and anicca, that all compounded things are subject to dissolution, including all the components of the human person and personality. In Buddhist doctrine the evolving consciousness (Pali: samvattanika-viññana) or stream of consciousness (Pali: viññana-sotam, Sanskrit: vijñāna-srotām, vijñāna-santāna, or citta-santāna) upon death (or "the dissolution of the aggregates" (P. khandhas, S. skandhas)), becomes one of the contributing causes for the arising of a new aggregation. At the death of one personality, a new one comes into being, much as the flame of a dying candle can serve to light the flame of another. The consciousness in the new person is neither identical to nor entirely different from that in the deceased but the two form a causal continuum or stream. Transmigration is the effect of karma (kamma) or volitional action. The basic cause is the abiding of consciousness in ignorance (Pali: avijja, Sanskrit: avidya): when ignorance is uprooted, rebirth ceases. The Buddha's detailed conception of the connections between action (karma), rebirth and causality is set out in the twelve links of dependent origination. The empirical, changing self does not only affect the world about it, it also generates, consciously and unconsciously, a subjective image of the world in which it lives as "reality". It "tunes in" to a particular level of consciousness which has a particular range of objects, selectively notices such objects and forms a partial model of reality in which the ego is the crucial reference point. Vipassana meditation uses "bare attention" to mind-states without interfering, owning or judging. Observation reveals each moment as an experience of an individual mind-state such as a thought, a memory, a feeling or a perception that arises, exists and ceases. This limits the power of desire, which, according to the second noble truth of Buddhism, is the cause of suffering (dukkha), and leads to Nirvana (nibbana, vanishing (of the self-idea)) in which self-oriented models are transcended and "the world stops". Thus consciousness is a continuous birth and death of mind-states: rebirth is the persistence of this process. Buddhist traditions vary in precise views on rebirth. The Tibetan schools hold to the notion of a bardo (intermediate state) that can last up to forty-nine days. An accomplished or realized practitioner (by maintaining conscious awareness during the death process) can choose to return to samsara. They believe many lamas choose to be born again and again as humans and are called tulkus or incarnate lamas. The Sarvastivada school believed that between death and rebirth there is a sort of limbo in which beings do not yet reap the consequences of their previous actions but may still influence their rebirth. The death process and this intermediate state were believed to offer a uniquely favourable opportunity for spiritual awakening. Theravada Buddhism generally denies there is an intermediate state—though some early Buddhist texts seem to support the idea-- but asserts that rebirth is immediate. Some schools conclude that karma continues to exist and adhere to the person until it works out its consequences. For the Sautrantika school, each act "perfumes" the individual or "plants a seed" that later germinates. Tibetan Buddhism stresses the state of mind at the time of death. To die with a peaceful mind will stimulate a virtuous seed and a fortunate rebirth; a disturbed mind will stimulate a non-virtuous seed and an unfortunate rebirth. The medieval Pali scholar Buddhaghosa labeled the consciousness that constitutes the condition for a new birth as described in the early texts "rebirth-linking consciousness" (patisandhi). Still other Buddhists regard samsara as merely a metaphor of the human condition. 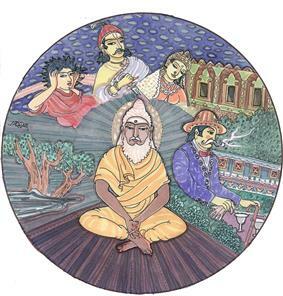 Reincarnation remained a tenet of the Sant Bhakti movement and of related mystics on the frontiers of Islam and Hinduism such as the Baul minstrels, the Kabir panth and the Sikh Panth. Sikhs believe the soul is passed from one body to another until Liberation. If we perform good deeds and actions and remember the Creator, we attain a better life while, if we carry out evil actions and sinful deeds, we will be incarnated in “lower” life forms. God may pardon wrongs and release us. Otherwise reincarnation is due to the law of cause and effect but does not create any caste or differences among people. Some scholars consider Eckankar a Western presentation of Sant mysticism. It teaches that Soul is eternal and either chooses an incarnation for growth or else an incarnation is imposed or agreed to because of Karma. Soul is perfected through a series of incarnations until it arrives at a level of spiritual development that obviates the need for further experience in what are described as the "lower worlds" of experience in time and space. The idea of reincarnation is accepted by a few Muslim sects, particularly of the Ghulat, and by other sects in the Muslim world such as Druzes. Historically, South Asian Isma'ilis performed chantas yearly, one of which is for sins committed in past lives. (Aga Khan IV) Sinan ibn Salman ibn Muhammad, also known as Rashid al-Din Sinan, (r. 1162–1192) subscribed to the transmigration of souls as a tenet of the Alawi, who are thought to have been influenced by Isma'ilism. Reincarnation was also accepted by some streams of Sufism. Modern Sufis who embrace the idea include Bawa Muhaiyadeen. However Hazrat Inayat Khan has criticized the idea as unhelpful to the spiritual seeker. Reincarnation is one of the thirteen principles of Maimonides 13 Principles of Faith (number 13) which states "I believe with a perfect faith that the Holy One... in the future will bring the dead back to life...". It is also a core element in the tale of the Ten Martyrs in the Yom Kippur liturgy, who were killed by Romans to atone for the souls of the ten brothers of Joseph, is read in Ashkenazi Orthodox Jewish communities. However it is not a topic widely discussed in the classical rabbinical works (Mishnah and Talmud), or Maimonides'. Medieval Jewish Rationalist philosophers discussed the issue, often in rejection. However, Jewish mystical texts (the Kabbalah), from their classic Medieval canon onwards, teach a belief in Gilgul Neshamot (Hebrew for metempsychosis of souls: literally "soul cycle", plural "gilgulim"). It is a common belief in contemporary Hasidic Judaism, which regards the Kabbalah as sacred and authoritative, though unstressed in favour of a more innate psychological mysticism. Kabbalah also teaches that "The soul of Moses is reincarnated in every generation." Other, Non-Hasidic, Orthodox Jewish groups while not placing a heavy emphasis on reincarnation, do acknowledge it as a valid teaching. Its popularisation entered modern secular Yiddish literature and folk motif. The 16th century mystical renaissance in communal Safed replaced scholastic Rationalism as mainstream traditional Jewish theology, both in scholarly circles and in the popular imagination. References to gilgul in former Kabbalah became systemised as part of the metaphysical purpose of creation. Isaac Luria (the Ari) brought the issue to the centre of his new mystical articulation, for the first time, and advocated identification of the reincarnations of historic Jewish figures that were compiled by Haim Vital in his Shaar HaGilgulim. Gilgul is contrasted with the other processes in Kabbalah of Ibbur ("pregnancy"), the attachment of a second soul to an individual for (or by) good means, and Dybuk ("possession"), the attachment of a spirit, demon, etc. to an individual for (or by) "bad" means. In Lurianic Kabbalah, reincarnation is not retributive or fatalistic, but an expression of Divine compassion, the microcosm of the doctrine of cosmic rectification of creation. Gilgul is a heavenly agreement with the individual soul, conditional upon circumstances. Luria's radical system focused on rectification of the Divine soul, played out through Creation. The true essence of anything is the divine spark within that gives it existence. Even a stone or leaf possesses such a soul that "came into this world to receive a rectification". A human soul may occasionally be exiled into lower inanimate, vegetative or animal creations. The most basic component of the soul, the nefesh, must leave at the cessation of blood production. There are four other soul components and different nations of the world possess different forms of souls with different purposes. Each Jewish soul is reincarnated in order to fulfil each of the 613 Mosaic commandments that elevate a particular spark of holiness associated with each commandment. Once all the Sparks are redeemed to their spiritual source, the Messianic Era begins. Non-Jewish observance of the 7 Laws of Noah assists the Jewish people, though Biblical adversaries of Israel reincarnate to oppose. Among the many rabbis who accepted reincarnation are Nahmanides (the Ramban) and Rabbenu Bahya ben Asher, Levi ibn Habib (the Ralbah), Shelomoh Alkabez, Moses Cordovero, Moses Chaim Luzzatto, the Baal Shem Tov and later Hasidic masters, DovBer Pinson and the Mitnagdic Vilna Gaon and Chaim Volozhin and their school, Ben Ish Chai of Baghdad and the Baba Sali. Rabbis who have rejected the idea include Saadia Gaon, David Kimhi, Hasdai Crescas, Joseph Albo, Abraham ibn Daud, Leon de Modena, Solomon ben Aderet, Maimonides and Asher ben Jehiel. Among the Geonim, Hai Gaon argued in favour of gilgulim. Reincarnation is an intrinsic part of many Native American and Inuit traditions. In the now heavily Christian Polar North (now mainly parts of Greenland and Nunavut), the concept of reincarnation is enshrined in the Inuit language. Though the major Christian denominations reject the concept of reincarnation, a large number of Christians profess the belief. In a survey by the Pew Forum in 2009, 24% of American Christians expressed a belief in reincarnation. In a 1981 Survey in Europe 31% of regular churchgoing Catholics expressed a belief in reincarnation. Geddes MacGregor, an Episcopalian priest and professor of Philosophy, makes a case for the compatibility of Christian doctrine and reincarnation. Awareness of past lives, dreams, and soul travel are spiritual disciplines practiced by students of Eckankar. Eckankar teaches that each person is Soul, which transcends time and space. Soul travel is a term specific to Eckankar that refers to a shift in consciousness. Eckists believe the purpose of being aware of past lives is to help with understanding personal conditions in the present. Practicing students of Eckankar can become aware of past lives, through dreams, soul travel, and spiritual exercises called contemplations. This form of contemplation is the active, unconditional practice of going within to connect with the "Light and Sound of God" known as the divine life current or Holy Spirit. Past reincarnation, usually termed "past lives", is a key part of the principles and practices of the L. Ron Hubbard, the founder of Scientology, does not use the word "reincarnation" to describe its beliefs, noting that: "The common definition of reincarnation has been altered from its original meaning. The word has come to mean 'to be born again in different life forms' whereas its actual definition is 'to be born again into the flesh of another body.' Scientology ascribes to this latter, original definition of reincarnation." Spiritism is a Christian religion codified in the 19th century by the French educator Allan Kardec. Spiritism soon spread to other countries, having today 35 countries represented in the International Spiritist Council. In countries like Brazil the movement had spread and became widely accepted, mostly due to Chico Xavier's works. Today the official spiritist community has about 20 million adepts, though due to local syncretism, it is accepted and somehow practiced by three times as many across the country. Some statistics even mention an adherence to Spiritist practices by 40 million people in Brazil. Spiritism teaches reincarnation or rebirth into human life after death. This basically distinguishes Spiritism from Spiritualism. According to the Spiritist doctrine, reincarnation explains the moral and intellectual differences among men. It also provides the path to man's moral and intellectual perfection by amending for his mistakes and increasing his knowledge in successive lives. For this reason Spiritism does not accept rebirth in animals as this would be retrogressive. Reincarnation is the natural method of the perfection process through which the Spirit faces countless different situations, problems and obstacles, and needs to learn how to deal with them. The central tenet of Spiritist doctrine is the belief in spiritual life. The spirit is eternal, and evolves through a series of incarnations in the material world. The true life is the spiritual one; life in the material world is just a short-termed stage, where the spirit has the opportunity to learn and develop its potentials. Reincarnation is the process where the spirit, once free in the spiritual world, comes back to the world for further learning. ^ The Buddhist concept of rebirth is also often referred to as reincarnation.see Charles Taliaferro, Paul Draper, Philip L. Quinn, A Companion to Philosophy of Religion. John Wiley and Sons, 2010, page 640, Google Books and is a belief that was held by such historic figures as Pythagoras, Plato and Socrates. .
^ "Encyclopædia Britannica". Concise.britannica.com. Retrieved 2011-12-06. ^ "Heart of Hinduism: Reincarnation and Samsara". Hinduism.iskcon.com. Retrieved 2011-12-06. ^ Brodd, Jefferey (2003). World Religions. Winona, MN: Saint Mary's Press. ^ Teachings of Queen Kunti by A. C. Bhaktivedanta Swami, Chapter 18 "To become Brahma is not a very easy thing.... But he is also a living entity like us." ^ "The Five Precepts". Urbandharma.org. Retrieved 2011-12-06. ^ Irving Steiger Cooper (1920). ^ Christopher Chapple. Nonviolence to Animals, Earth, and Self in Asian Traditions. SUNY Press. p. 4. ^ one modern scholar has speculated that Buddhist missionaries had been sent to Britain by the Indian king Ashoka. Donald A.Mackenzie, Buddhism in pre-Christian Britain (1928:21). 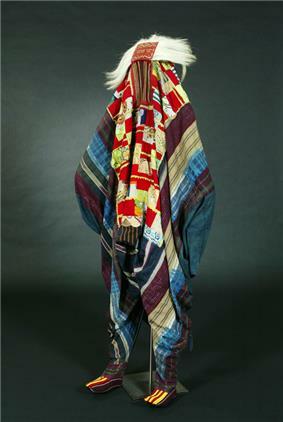 ^ Ara, Mitra (2008). Eschatology in the Indo-Iranian traditions: The Genesis and Transformation of a Doctrine. Peter Lang Publishing Inc., New York, USA. ISBN 1-4331-0250-1. pp. 99–100. ^ Arvind Sharma's review of Hajime Nakamura's A History of Early Vedanta Philosophy, Philosophy East and West, Vol. 37, No. 3 (Jul., 1987), page 330. ^ Krishnan, Yuvraj (1997). The Doctrine of Karma. Delhi, IN: Motilal Barnasidass. p. 13. ^ Provide reference(s) if this refers to rebirth? ^ "As is now almost universally accepted by informed Indological scholarship, a re-examination of early Buddhist historical material, ..., necessitates a redating of the Buddha's death to between 411 and 400 BCE." Paul Dundas, The Jains, 2nd edition, (Routledge, 2001), p. 24. ^ Karel Werner, The Longhaired Sage in The Yogi and the Mystic, Curzon Press, 1989, page 34. Wayman... traces them particularly in the older Upanishads, in early Buddhism, and in some later literature." ^ Karel Werner, The Yogi and the Mystic. Routledge 1994, page 27. ^ Gavin D. Flood, The ascetic self: subjectivity, memory and tradition. Cambridge University Press, 2004, page 136. ^ Joanna Macy, Mutual causality in Buddhism and general systems theory: the dharma of natural systems. SUNY Press, 1991, page 163. ^ "Bellow's translation of Helgakviða Hundingsbana II". Sacred-texts.com. Retrieved 2011-12-06. ^ a b Berger, Arthur S.; Berger, Joyce (1991). The Encyclopedia of Parapsychology and Psychical Research. Paragon House Publishers. ^ a b "Shirleymaclaine.com". Shirleymaclaine.com. Retrieved 2011-12-06. ^ Shroder, T (2007-02-11). "Ian Stevenson; Sought To Document Memories Of Past Lives in Children". ^ Cogan, Robert. (1998). Critical Thinking: Step by Step. University Press of America. pp. 202-203. ISBN 0-7618-1067-6 "Edwards catalogs common sense objections which have been made against reincarnation. 1) How does a soul exist between bodies? 2) Tertullian's objection: If there is reincarnation, why are not babies born with the mental abilities of adults? 3) Reincarnation claims an infinite series of prior incarnations. Evolution teaches that there was a time when humans did not yet exist. So reincarnation is inconsistent with modern science. 4) If there is reincarnation, then what is happening when the population increases? 5) If there is reincarnation, then why do so few, if any people, remember past lives?... To answer these objections believers in reincarnation must accept additional assumptions... Acceptance of these silly assumptions, Edwards says, amounts to a crucifixion of one's intellect." ^ Walter, T.; Waterhouse, H. (1999). "A very private belief: Reincarnation in contemporary England". Sociology of Religion 60 (2): 187–197. ^ Waterhouse, H. (1999). "Reincarnation belief in Britain: New age orientation or mainstream option?". Journal of Contemporary Religion 14 (1): 97–109. ^ "Bhagavad-Gita: Chapter 2, Verse 22". Bhagavad-Gita Trust. 1998–2009. Retrieved 28 July 2012. ^ "The sudden appearance of this theory [of karma] in a full-fledged form is likely to be due, as already pointed out, to an impact of the wandering muni-and-shramana-cult, coming down from the pre-Vedic non-Aryan time." 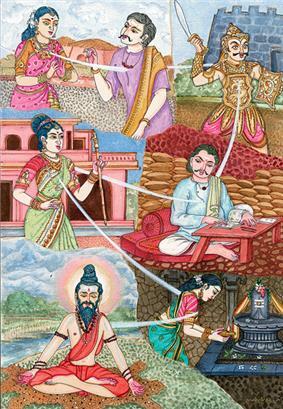 Kashi Nsadcwath Upadhyaya, Early Buddhism and the Bhagavadgita. Motilal Banarsidass Publ., 1998, page 76. ^ The many references in early Buddhist scriptures include; Mahakammavibhanga Sutta (Majjhima Nikaya 136); Upali Sutta (Majjhima Nikaya 56); Kukkuravatika Sutta (Majjhima Nikaya 57); Moliyasivaka Sutta (Samyutta Nikaya 36.21); Sankha Sutta (Samyutta Nikaya 42.8). For an explicit rejection of this view in the early texts see David J. Kalupahana, Causality—the central philosophy of Buddhism. University Press of Hawaii, 1975, page 119. ^ "PTS: Miln 71–72; 82–83; 84 (Pali Canon)". Accesstoinsight.org. 2010-06-30. Retrieved 2011-12-06. ^ Edwards, L. (2001). A Brief Guide to Beliefs: Ideas, Theologies, Mysteries, and Movements. Westminster John Knox Press. ^ Wasserman, James (2001). The Templars and the Assassins – The Militia of Heaven. Inner Traditions International. pp. 133–137. ^ Antonia Mills and Richard Slobodin, ed. (1994). Amerindian Rebirth: Reincarnation Belief Among North American Indians and Inuit. University of Toronto Press. ^ Jefferson, Warren (2008). Reincarnation beliefs of North American Indians : soul journeys, metamorphoses, and near-death experiences. Native Voices. ^ "Spiritual-wholeness.org". Spiritual-wholeness.org. Retrieved 2011-12-06. ^ Cranston, Sylvia. Reincarnation in Christianity: A New Vision of the Role of Rebirth in Christian Thought (Quest Books) (9780835605014): Geddes MacGregor: Books. Amazon.com. ^ St. Jerome. "To Avitus" (Letter 124). Translated by W.H. Fremantle, G. Lewis and W.G. Martley. From Nicene and Post-Nicene Fathers, Second Series, Vol. 6. Edited by Philip Schaff and Henry Wace. (Buffalo, NY: Christian Literature Publishing Co., 1893.) Revised and edited for New Advent by Kevin Knight. ^ a b St. Jerome. "To Avitus" (Letter 124). Translated by W.H. Fremantle, G. Lewis and W.G. Martley. From Nicene and Post-Nicene Fathers, Second Series, Vol. 6. Edited by Philip Schaff and Henry Wace. (Buffalo, NY: Christian Literature Publishing Co., 1893.) Revised and edited for New Advent by Kevin Knight. .
^ Does Scientology believe in reincarnation or past lives? ^ Baba, Meher, Discourses, Volume III, Sufism Reoriented, 1967, ISBN 1-880619-09-1, p. 96. ^ Miller, Lisa (August 27, 2010). "Remembrances of Lives Past". The New York Times. ^ "John Craigie's New Album "October is The Kindest Month" is a Work of Art from Beginning To End". http://jambandfriendly.com. 2011-10-11.